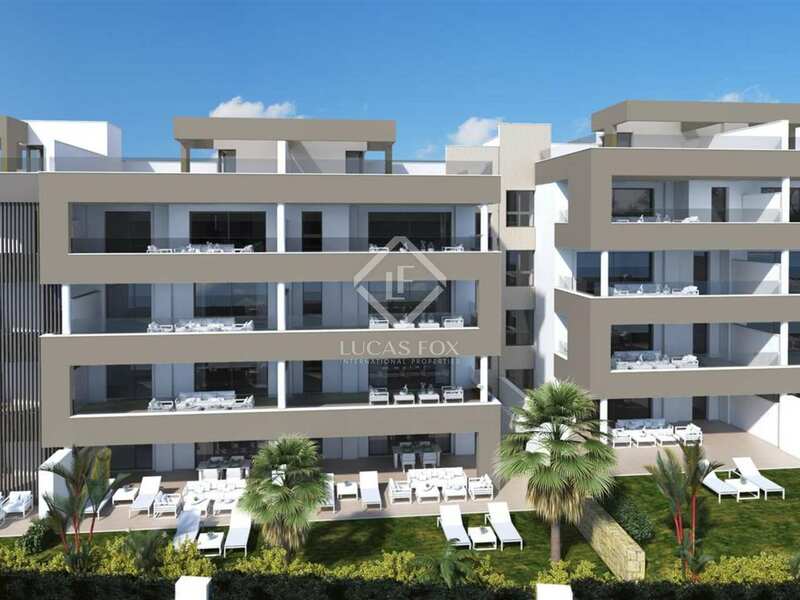 Right next to the glamorous Puerto Banús marina in Nueva Andalucia, less than 1km walking distance from the beach and all amenities, we find this brand new development with 6 impressive penthouses and 18 modern 2 and 3-bedroom apartments for sale. 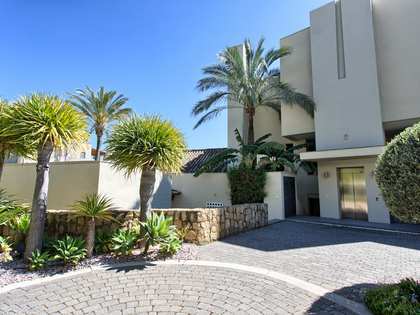 Acquiring a home here means enjoying immediate access to all that this coveted area has to offer; with the popular Saturday market, exclusive boutiques, lounges, the famous casino and the marina with its beautiful yachts, cars, luxury boutiques and international restaurants all on the doorstep. 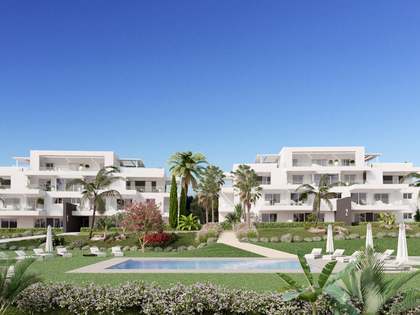 This unique residential complex offers the very best of contemporary design with elegant, functional interiors and stunning communal outdoor spaces such as the swimming pool with its wooden deck and the landscaped gardens. 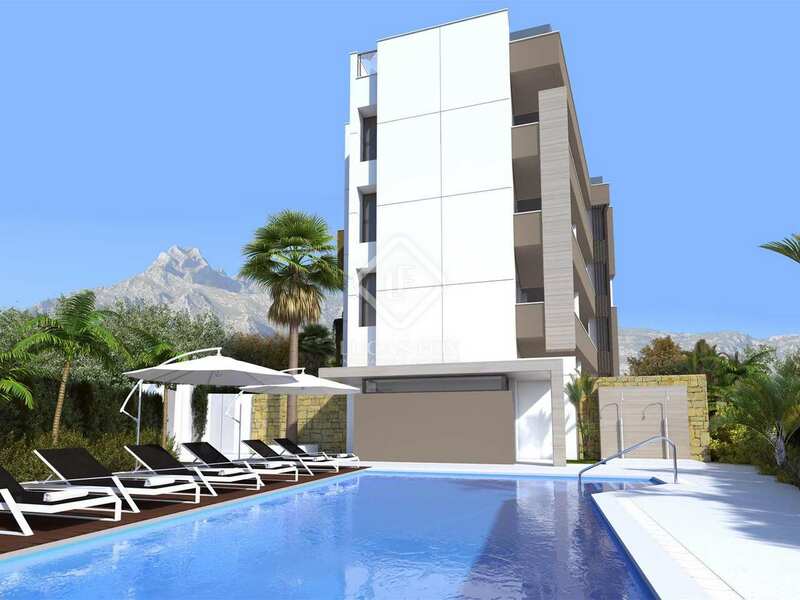 This 3-bedroom property is situated in a 4-storey building with 2 lifts. The strictest quality criteria regarding insulation and soundproofing has earned this building the B Energy Certificate. The south-facing living room and dining room with its integrated open kitchen leads to the private outdoor space and provides a wonderfully airy bright living area. 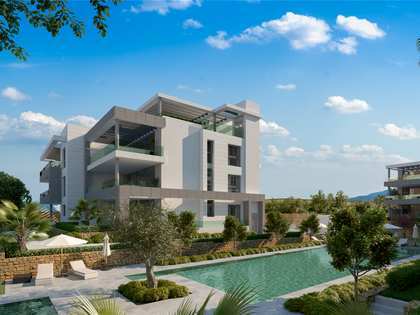 The residence has been carefully designed to optimise comfort with high quality finishes throughout. Cream marble floor tiles adorn the living area and the kitchen is fitted with Siemens appliances. The 2 bathrooms have high quality sanitary ware and air conditioning, halogen lighting and decorative LEDs all combine, along with other features, to create a pristine, fully equipped new home that is ready to move into. Furthermore, all of the properties have a parking space and a storage room in the building's basement, a convenient feature in this popular area. 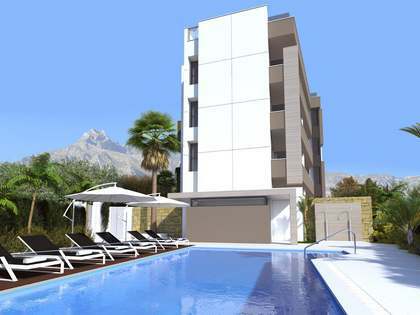 As well as an excellent permanent residence, this new property would make enviable holiday home on the Costa del Sol. Estimated completion date: Third trimester of 2019. 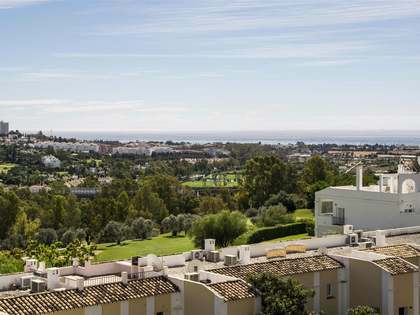 These exclusive new apartments are in an upmarket residential area next to Puerto Banús, at the heart of Nueva Andalucía, next to the famous Marbella Casino. 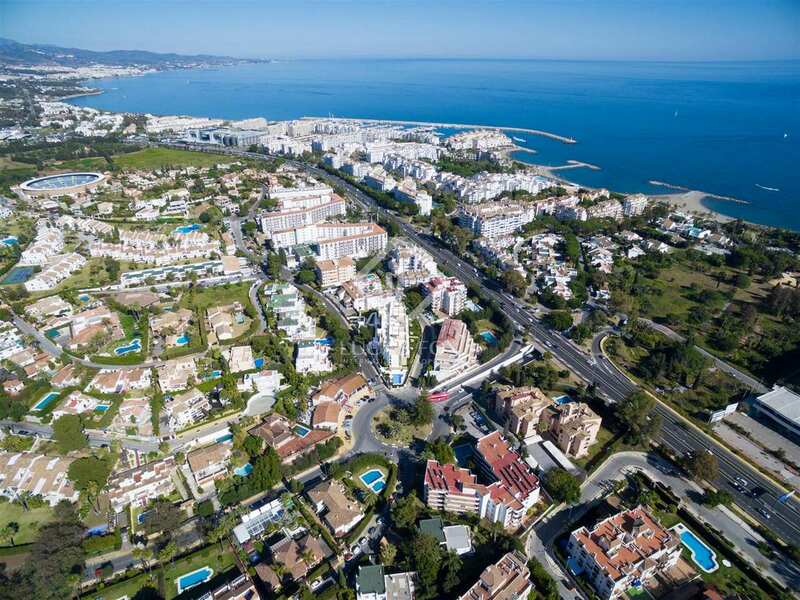 This location makes it easy to enjoy the best of the Marbella lifestyle with the stunning Puerto Banus Marina on the doorstep, where you will find many high-end shops, restaurants and the beautiful beach, the prestigious Ocean Club and La Sala Beach Club; all within easy walking distance.